LUXURY, TOWING, AND FUEL MILEAGE ALL IN ONE! 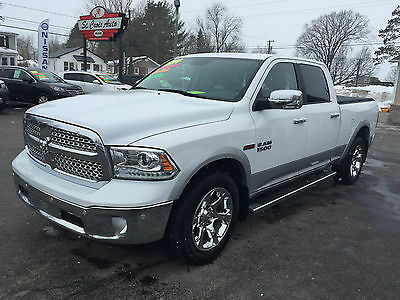 2014 DODGE RAM 1500 LARAMIE ECO DIESEL WITH ONLY 14,500 MILES, FULLY LOADED INCLUDING POWER HEATED LEATHER SEATS, HEATED STEERING WHEEL, NAVIGATION, 4X4, MOON ROOF. THIS IS LOCATED IN ST STEPHEN, WE WILL IMPORT TO USA WITH A REGISTERED BROKER FOR YOU, NO NEED TO CROSS THE BORDER.